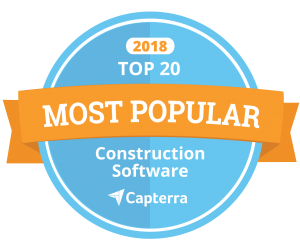 With over 300 Construction Management software products listed on Capterra, making the Top 20 is an outstanding accomplishment. Rochester, NH. Snappii, a leading Mobile Business Apps company with more construction apps than all construction software companies combined, announced today that it has been named a Top 20 Most Popular Construction Management software product by Capterra, a free online service that helps organizations find the right software. Top 20 Most Popular Construction Management Software is an independent assessment that evaluates customer base, number of active users, and social presence to generate a list of market leaders in the Construction management space that offer the most widely adopted solutions. The Top 20 Most Popular Construction Management is available here. Snappii offers many Apps for the construction industry to automate bidding, timesheets, inventory management, equipment tracking, inspections and other important tasks done by field employees. A recently released Punch In / Out Timesheet App has already reached its first thousand users. This powerful mobile time tracking app is for employees who work on site or change their locations often. Using the devices they already have, the employees can track their work time quickly and easily. Employees can punch in and out on their mobile devices anywhere, add breaks and details, generate powerful reports and send them to the management or accounting, analyze their progress with the Dashboard and more. With the Construction Manager app managers can control construction projects, make necessary estimates, track working hours, update and track project progress, perform specific calculations, etc. Construction Photos mobile app allows users to organize photos by projects, mark up photos on the go, tag photos for easy search, share photos with a click. Construction Calculator app includes a bunch of helpful calculators that can be used in the field with no internet connection. The app supports both US feet and European meters and the metrics can be easily switched in the app settings. For work with construction equipment, Snappii offers Construction Equipment Inspection app. The app helps inspectors create quick mobile inspections and maintain equipment in proper condition. Also Snappii has a great solution for equipment’s inventory. “Thanks to Snappii, we moved away from paper forms and are quite pleased with the result. Now it literary takes a few minutes to fill out the report, sign and send it. We receive a convenient PDF output that’s stored in the app and also can be shared via email, cloud drives and printed, if needed”, Steven Koski, Harold Brothers Mechanical. All these construction apps and more are available for free download from Apple and Google Play Stores and can be 100% customized to meet specific needs of any organization. This entry was posted in Press releases and tagged construction apps, mobile app, mobile app development, software by Alex Bakman. Bookmark the permalink.